New TV Adaptation of Les Misérables Is Here! As long as there are ignorance and poverty on Earth, books such as this one may not be useless. Those words have held true. The book was published in 1862— over a 150 years ago—and it was a breakout hit that still hasn’t lost its popularity nor its relevance. This might have something to do with the musical. Heck, maybe it has everything to do with the musical, but to test that theory out is PBS, who is coming in at full swing. PBS’ adaption of Les Miserables isn’t a musical, but instead an in-depth look at the classic story about poverty, desperation, and redemption. Forbes writes that the screenwriter, Andrew Davies, who is known for his adaptions such as Pride and Prejudice (1995 TV series) and War & Peace (2016 TV series), “preserves Hugo’s intricate plotting, striking historical vignettes, powerful themes and evocative characterizations”. The television series is set to be a six-part adaptation of the famous story. Here, we follow fugitive Jean Valjean, played here by Dominic West (James ‘Jimmy’ McNulty on The Wire) who is relentlessly followed by Inspector Javert, played here by David Oyelowo, who infamously took on the role of Dr. King in Selma. The rest of the cast includes Lilly Collins, who played Collins Tuohy in The Blind Side and more recently led Netflix film To the Bone will be Fantine, a young woman forced into prostitution. Adeel Akhtar, who played Naveed in The Big Stick, will be devious and devious Thénardier. 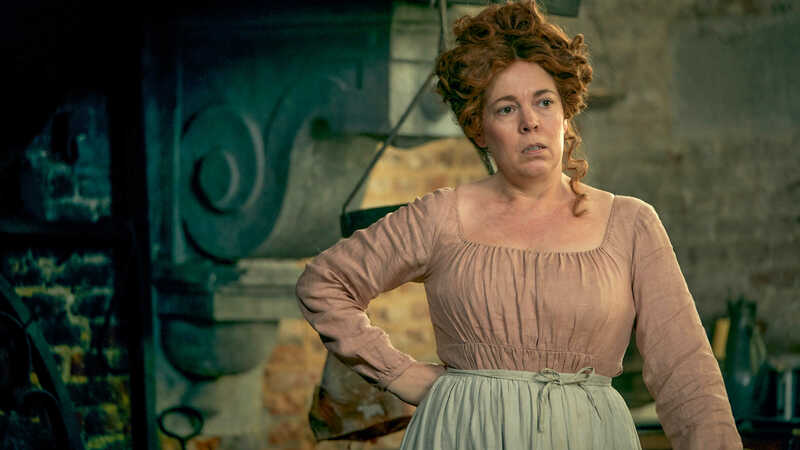 Olivia Colman, who plays Queen Elizabeth II on Season 4 of The Crown and just won the Best Actress Oscar for her role in The FavoriteI, will be devious and cruel Madame Thénardier. Ellie Bamber, who played Lydia Bennet in Pride and Prejudice and Zombies, will be Cosette, the daughter of Fantine and the adopted daughter of Valjean. Josh O’Connor, plays Prince Charles on Season 4 of The Crown, will be Marius, Cosette’s young lover. The first episode premiered on April 14th at 9/8c. You can check it out for yourself here and see if you like it. The second episode comes out the 24th at 9/8c. A greater understanding of characters I already love? That’s got my ear, so I’ll tune in.